Apple offers a three-month membership trial for new subscribers. When the trial period runs out, Apple Music will cost $9.99 per month or $14.99 per month for a family subscription for up to six people, if the subscription is not cancelled. As we all know, Apple Music is a streaming music service. You pay for the fee to unlock access to Apple Music’s entire catalogue, but you don’t actually own the music you listen to. Though you can save tracks to listen to offline within subscription, once you cancel your Apple Music subscription, you’ll lose access to all of the songs. How to keep the “downloaded” music from Apple Music when the three-month free trial is over? This tutorial is going to help you out step by step. Part A: Why can’t we keep Apple Music after cancelling the subscription? Apple Music is DRM-protected. Apple Music subscribers are limited to be listened to on iTunes or with Apple Music App. The alleged “downloaded” songs from Apple Music are only saved temporarily on the cloud for offline listening for the three-month trial users & Apple Music subscribers. It’s all about streaming, providing some kind of rental service, for which we have to pay the monthly fee after the free trial to continue listening to the songs on Apple Music. In short, it’s the DRM that prevents us from enjoying Apple Music without Apple Music App or iTunes and downloading the songs to our local files. Therefore, to keep playing Apple Music after free trial, it’s necessary for us to remove the DRM from Apple Music. 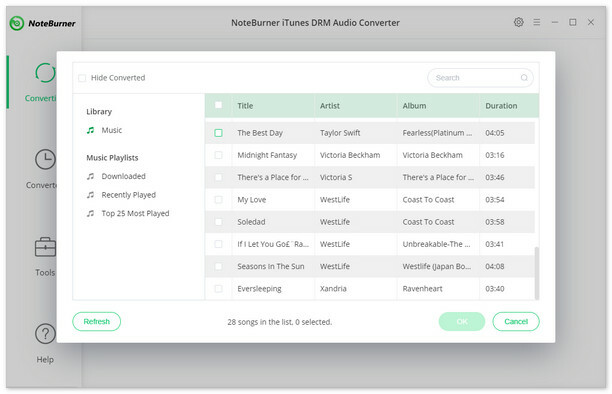 At present, the most popular Apple Music DRM removal tool is NoteBurner iTunes DRM Audio Converter, the flagship product under the well-known brand – NoteBurner, integrated the functions of Apple Music Converter, Audiobook Converter and iTunes M4P music converter. 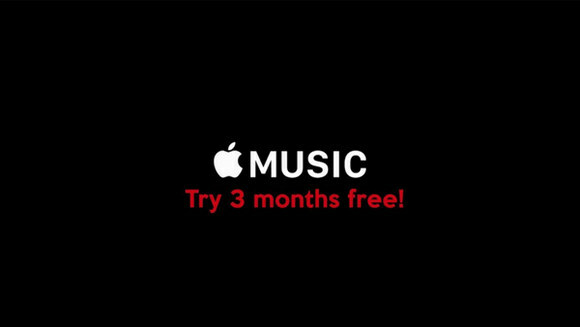 Part B: How to Keep Apple Music after Free Trial? 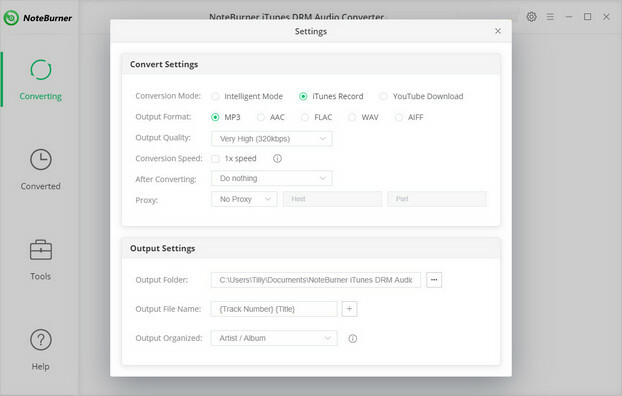 The following is a detailed tutorial to guide you to keep Apple Music after free trial with NoteBurner iTunes DRM Audio Converter. Before we get started, please download the program to your PC or Mac. Launch the program. Click button "+" on the upper left. A pop-up window will show you all your music downloaded in your iTunes Library. Choose the Apple Music that you want to convert and then press OK.
Click the gear button on the upper right. Here you can customize the Output Path, Output Formats ( MP3, FLAC, AAC, WAV), Conversion Speed, and etc. Click button "convert", and all the Apple Music you chose in step 2 will soon be converted to the DRM-free format you selected in step 3 and downloaded to the output folder you customized in previous step. Click the history button on the upper right. Here you can find all the converted songs. And you can also directly go to the output folder to find the DRM-free Apple Music. Now you can transfer the songs to anywhere you like and listen to them any time with no need to subscibe Apple Music after the three-month free trial.